We are pleased to inform you of our recent concluded HSN INTERNATIONAL LOTTERY PRIZE AWARD held 10th January 2007.You were entered as dependent client with serial number 447-211-91 that drew the lucky winning number 889-316-hsn, which consequently won the lottery in the 2nd category. As a result of this, you are therefore been approved to claim a total sum of 350,000(THREE HUNDRED AND FIFTY THOUSAND EURO) in cash credited to security file number 306-314-hsn. The selection process was carried out through random selection in our computerize email selection system(ESS) from a database of over 250,000 email addresses drawn from all the continents of the world which you were selected. Due to mixed up of some names and addresses, we ask that you keep this award personal, till your claim has been processed and your funds remitted to you. This is part our security measures to avoid double claiming or unwarranted participants or imposters, taking advantage of the situation. 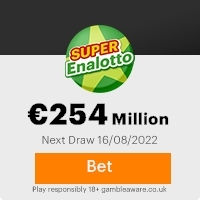 In view of this, your winning sum of 350,000 (THREE HUNDRED AND FIFTY THOUSAND EURO) would be released to you by our payment/representatives in your preferred mode of payment. Remember all winning must be claim not later than 27rd of January 2007. After this date , all unclaimed funds will be included in the next stake. Please note in order to avoid unnecessary delays and complications please remember to quote your Reference number, Batch number and Serial number with your winning lucky number. Furthermore should there be any change of address do inform our agent as soon as possible. This Email with the Subject "URGENT NOTICE (PROMOTION DEPARTMENT)" was received in one of Scamdex's honeypot email accounts on Fri, 12 Jan 2007 08:15:00 -0800 and has been classified as a Generic Scam Email. The sender shows as betty@bettylorry.orangehome.co.uk, although that address was probably spoofed. We recommend that you do not attempt to contact any persons or organizations referenced in this email, as you may expose yourself to scammers and, at the very least, you will be added to their email address lists for spam purposes.